ACUARELA REEVES 12 TUBOS DE 12 ML. 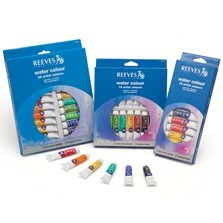 ACUARELA REEVES 18 TUBOS DE 12 ML. ACUARELA REEVES 24 TUBOS DE 12 ML.